An often-visited country (we visit every year), Nick and I (Jamie) headed out at the end of July to Sao Paulo with a day to briefly recover and explore the nearby Ibirapuera Park in the sunshine (it was cooler than the UK! ), along with what felt like a large portion of the cities’ 12.1m inhabitants. Cyclists, runners, boot-campers, or just people soaking up a little bit of nature after being stuck in an aeroplane for 12 hours, it’s a spot worth spending some time in. We’d be up at 5am Monday for the next leg heading up to Minas Gerais, a state divided in to four parts (Sul de Minas, Chapada de Minas, Matas de Minas, and Cerrado), and so begin our further education on the world’s largest coffee producing country. From marmosets playing in the trees outside the cupping room, to parakeets, rheas, burrowing owls, toucans, maned wolves, and even an appearance of the much talked about but rarely spotted jaguar on the farm the weekend before we arrived, Daterra’s recent qualification as the world’s first ‘A’ grade Rainforest Alliance certified farm is easily overlooked in favour of their coffees. However, I would be hard pressed to think of a farm I had visited that had more wildlife on it, and more passion about preserving it. 60% of the farm is given over to nature reserve; the law requires 30% of farmland to be maintained in Cerrado, so the level of their commitment is easy to see. The Cerrado itself covers around 1.2 million square miles of central Brazil, approximately 23% of the country, the world’s 5th largest. Primarily tropical grassland savannah, it’s home to around 935 species of birds and nearly 300 types of mammal, including endangered species, and almost 5,000 plants that are found nowhere else in the world. The youngest coffee growing area in Brazil, the Cerrado’s coffee growing history really came around between the 1950’s-70’s. 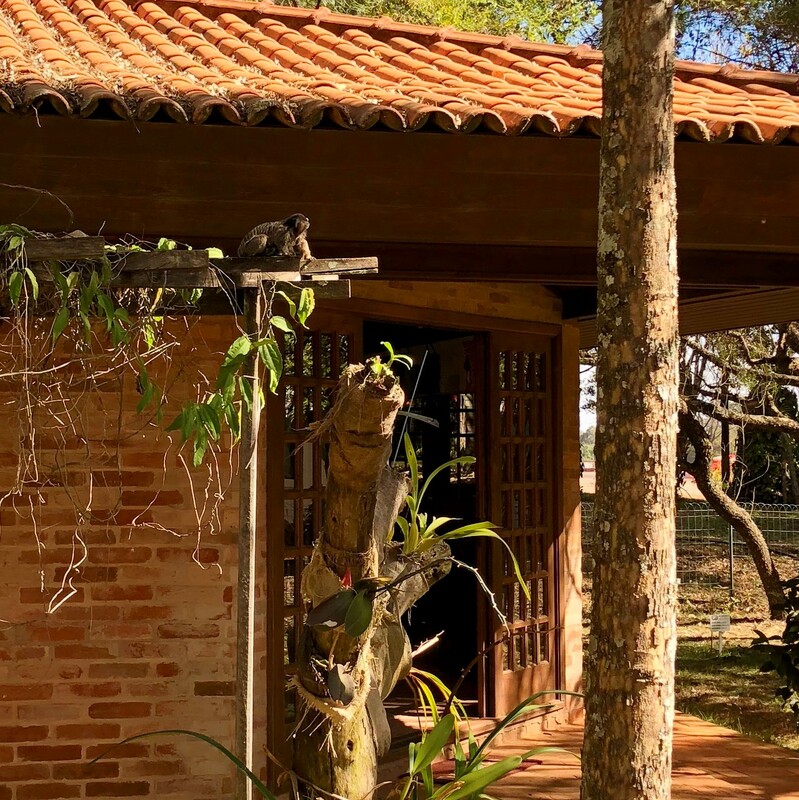 Boa Vista, one of the farms that make up Daterra and the one on which we stayed has its 25th birthday this year, so is a little newer, but it’s not just the wildlife and environment being looked after that has lead the farm to prosper. There is a visible duty of care everywhere you look – all workers are provided with personal protective equipment with the costs covered by the farm, for example. Safety barriers, signage and even recycling points are visible throughout the estate. Buses are provided to get workers to where they need to be, and accommodation is on site available to shift workers throughout the harvest season. There is also a medical facility, ambulance and even fire truck on site. In total 300 people work for Daterra full time rising to 600 in the peak of harvest time. A small timber farm exists within the grounds, so that all wood used on the farm is grown on the farm – this way they can guarantee it is produced ethically so maintains their standards, and can also provide further skills and jobs to the locals, with even the machinery not overlooked. Not surprising given their history within the automotive industry, machinery here is designed to precisely fit their needs, and often built if not modified on site by their own engineers. This includes the regular cleaning and repairing of all of their own equipment, from the picking machines with fibreglass arms designed to flex a little more than off the shelf parts or be interchangeable to provide a change in distribution or shape, to the processing facilities and building of their own experimental processing mill. (L) Marmoset outside the cupping lab. (R) Organic fertilizer mounds. 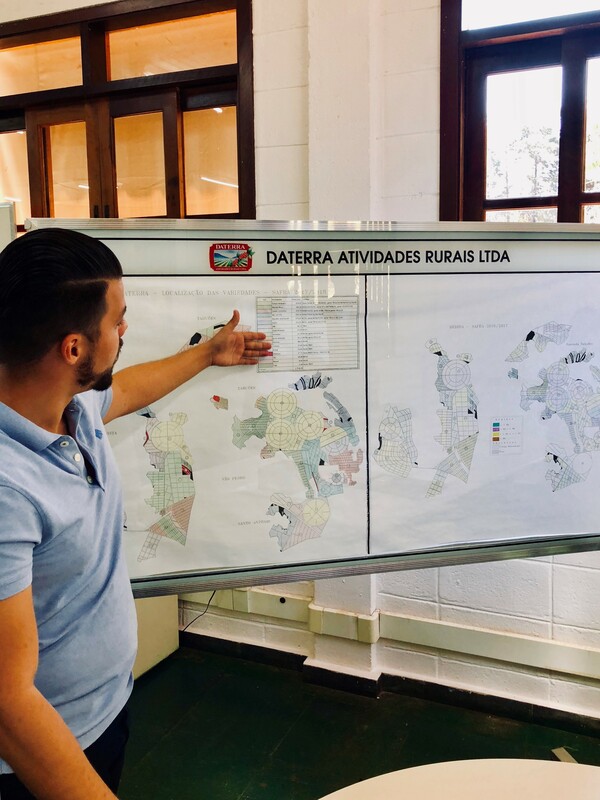 Daterra has some organic production areas for coffee, though best practice and Rainforest Alliance are more the focus of the business. A small organic farm grows produce for the workers, who are catered for on site. 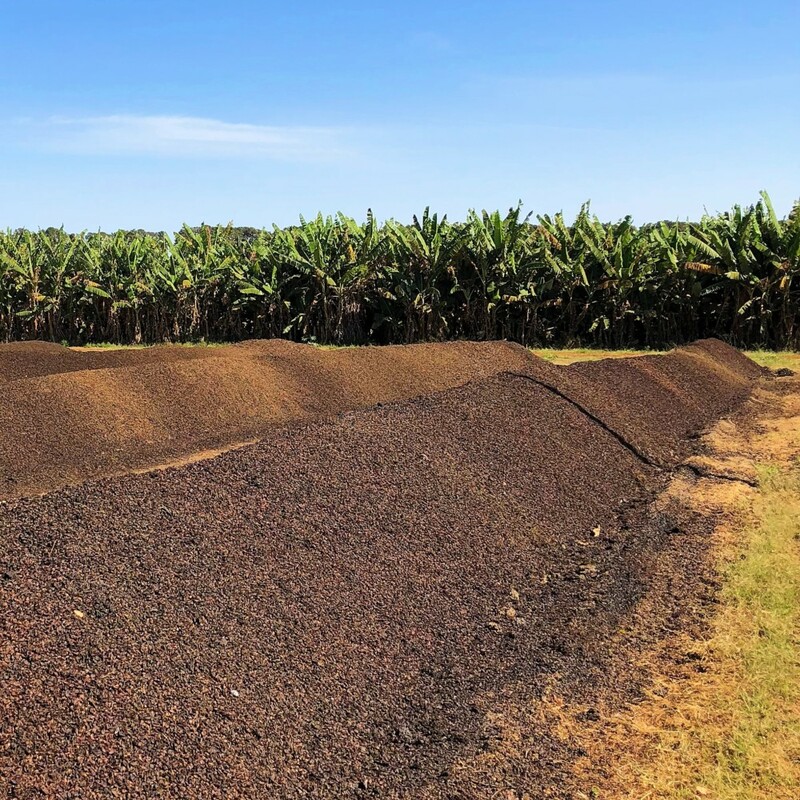 Coffee pulp, once removed, is turned in to potassium rich compost on a field with a slight slope, at the bottom of which is a curtain of banana trees. Moisture levels are controlled within the bulk to prevent mould – parchment removed from the cherries is an excellent way to do this. Water treatment is also an issue being explored. 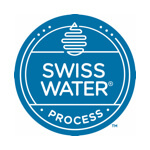 The sugar-rich post-processing water is often an issue on farms that is often overlooked (which is why we love our Cosecha Azul/Blue Harvest coffees so much), and again Daterra are unwilling to simply let this be, employing experts to help them understand how best to filter, treat and return the water to a standard that will not damage the environment. One of the problems with this is that water is not contained to just one area, and so any pollutants will, over time, leach through to other areas and just spread the problem further. It is why the bananas are planted downhill from the compost heap mentioned above; they are best suited to use any nutrient rich runoff that reaches them when it rains and protect the trees and fields behind them. Larger environmental factors such as temperatures and rainfall have also been monitored for years with their in-house agronomists. This has shown a reduction in average rainfall requiring an increase in irrigation, and a narrowing of the temperature ranges experienced; though the hotter peak temperatures have not risen, the lower, cooler temps have risen meaning a narrowing of the difference in temperature range. Cherries are therefore maturing quicker (they are looking at how this effects the perceived quality, correlating cherry skin colour with actual bean development), but more importantly, the cooler temps are no longer killing off the coffee borer as previously occurred, presenting new risks to the farm. Adaptations to the harvesting and clean up machinery have resulted, and modernisation in the electronic sorting machines has aided defect detection too. So now to the coffee. 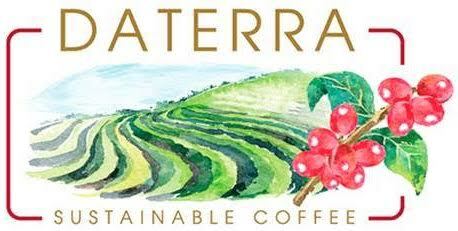 In total, Daterra has 108 varietals on their farms, which is the largest amount in Brazil. The majority of these are not in production yet as they are experimental and may be some way away from being so, but without innovation the farm cannot guarantee it’s positioning in the future. Some of these, such as Aramosa and Laurinas (which are naturally low in caffeine though Aramosa has each year gradually increased in caffeine levels), will feature as Masterpieces, selected with Daterra in unison with their visitors who score the coffees during their visit. Others will gradually make their way on to one of the carefully demarked lots and the careful eye of its assigned agronomist. This year has seen eight new genetics reach production levels with more on the way for next year. 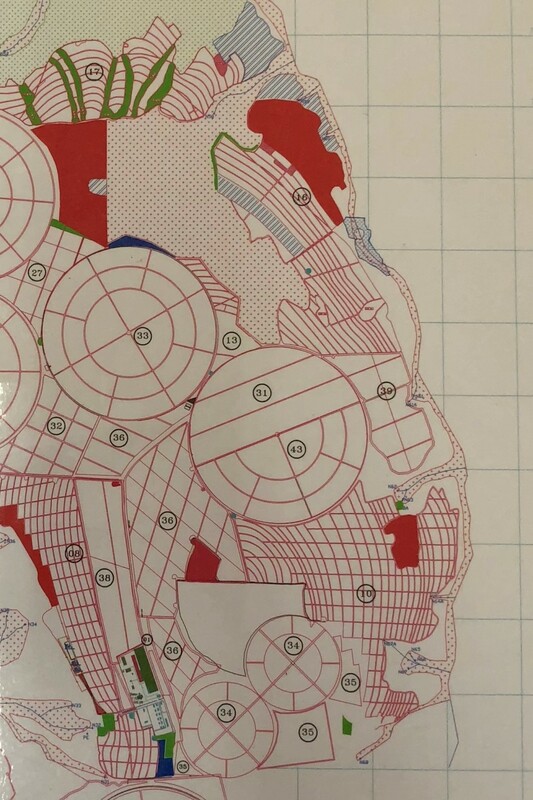 (L) Detail of plot separation within the farm for Daterra for picking. (R) Gabriel talking through varietal separation on the farm. Each of the farms is carefully split into lots, and progression of plants monitored until the right moment to pick. This is not only varietal, but terrain or aspect based too, as perhaps the sun shines stronger in one area over another, or cooling winds lead to slower maturation. 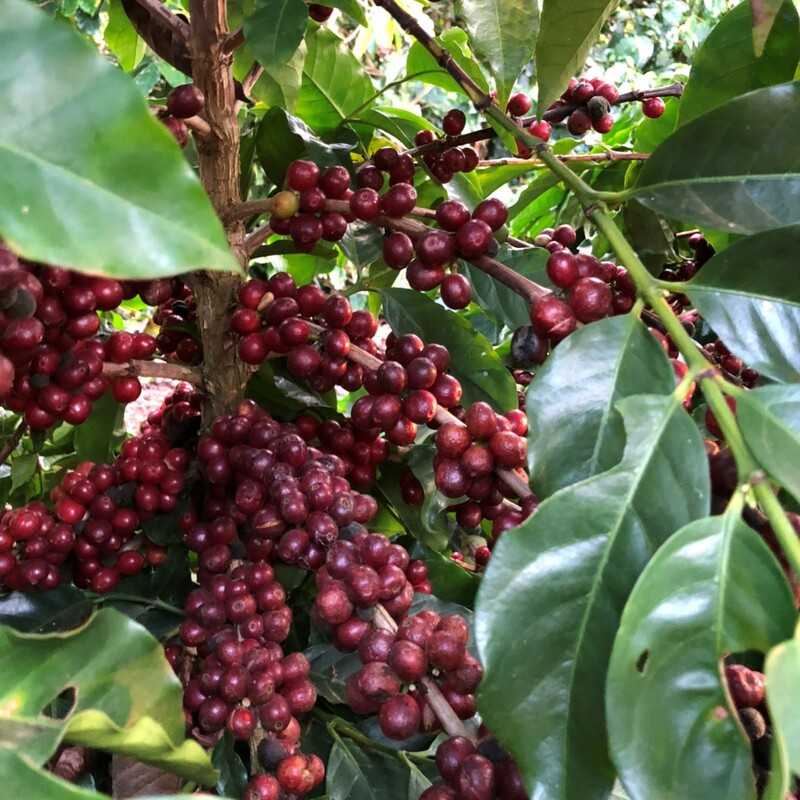 Cherries are not assumed to be ripe just because the colour of the skin looks ripe, so a trial picking will occur first, the coffee processed, roasted, and cupped, and only then the decision being made to harvest. Commonly this is when 5% is green, 10% underripe, and 40-60% ripe. With Brazil being primarily mechanized in picking, it is important to get the best time to yield the greatest results; the machines are modified to help with this, though hand picking does occur in areas that are not accessible, otherwise unsuitable or destined perhaps for the famed Masterpieces. Daterra have a purpose-built year one machine too, more delicate and not so high, so is less damaging than the off the shelf machines would be. With all this in mind, Daterra have also heavily modified their Pinhalense equipment for sorting and pulping. 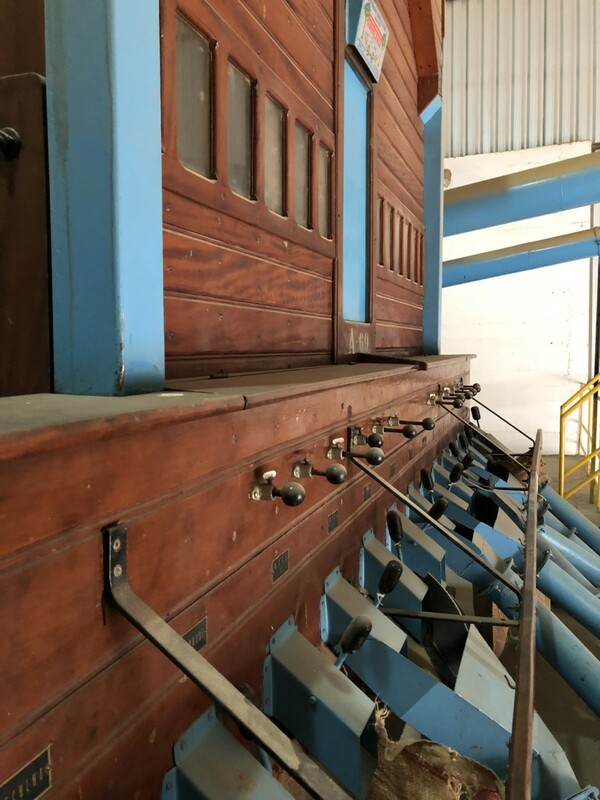 Eight stages of cherry are found in the silo after the trucks bring in their loads, and an initial water sorting will divide them in to ‘left’ or ‘right’ channels. The drier, darker cherries comprise of overripes, tree dried, and raisins (the slightly drier than ripe cherries that take more effort to be pulped), and are diverted to the left tower for size sorting and cleaning. The heavier, denser beans comprise of the ripes, underripes and greens, and get sent to the right-hand side. 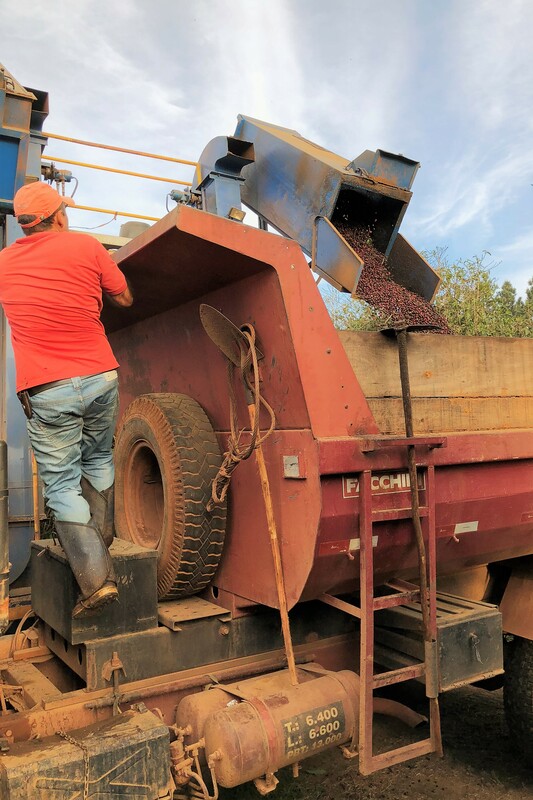 For the naturals, a bucket lift system transports them to their size modified screens that allow the overdried and therefore smaller beans to drop out first before, larger tree dried, and finally raisins further down the line. (L) Strip picker loading in to a truck at dusk. Work will continue under lights until finished, as quality doesn’t wait. 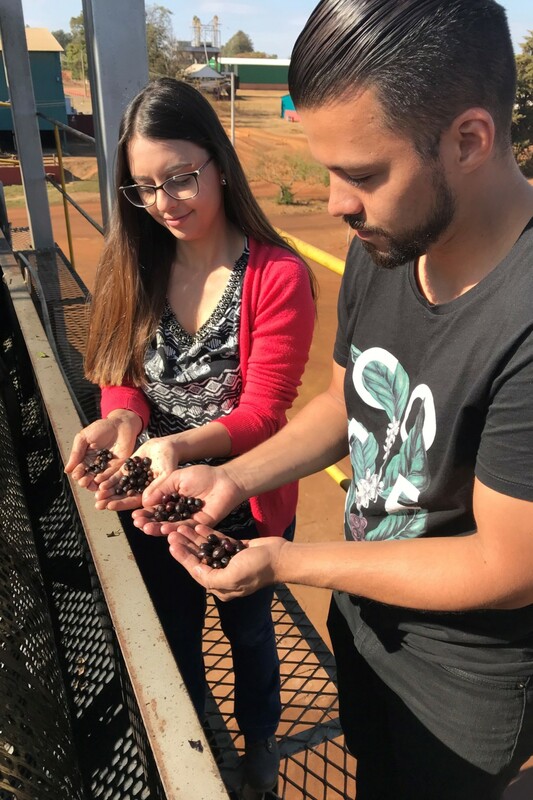 (R) Jessica and Gabriel showing the four stages of bean separation from the natural and pulped raisin side of processing. In a similar way on the right side, water pressure is used to differentiate and depulp the ripe and underripe beans. Again, another heavily modified spraying system uses minimal water pressure to remove the perfectly ripe beans, gradually increasing through each cylinder until the last stop with the underripe beans being the most stubbornly held within the flesh. 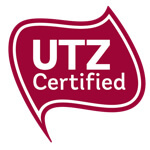 With extensive roasting and cupping Daterra can precisely define and select characteristics at each stage of ripeness, and then use these as ingredients to reblend the exact quantities and variety to create each of the blends they offer. Whilst this level of modification is not affordable by everyone, it is available – Daterra are open with their knowledge in engineering – and it shows the nature of a business that is willing to design a better, more precise tool rather than to settle with what they can get. They have a cupping lab adjacent to the large dryers for all their own lots and process quality control once picked, and another lab with espresso machines, and a host of filter brewing equipment so they can fully test their product as it would be in their customers hands, to make sure every step is understood. SMC are a company we have been working with for a long time to source our Palmital, Paraiso, Boa Esperanca and Aracacu. We started with what was beginning to become a theme that is hard to avoid in Brazil, a long drive. Arriving in the municipality of Guaxupé in Sul de Minas, a short distance from the state boundary with Sao Paulo, we were met by the ever hospitable Maria, treated to the Brazilian staple buffet lunch, before heading off to visit Gustavo, manager of Boa Esperanca. His uncle, an Opthalmologist in Belo Horizonte bought the farm in 2012 and subsequently asked Gustavo, a cattle farmer, to run it for him. 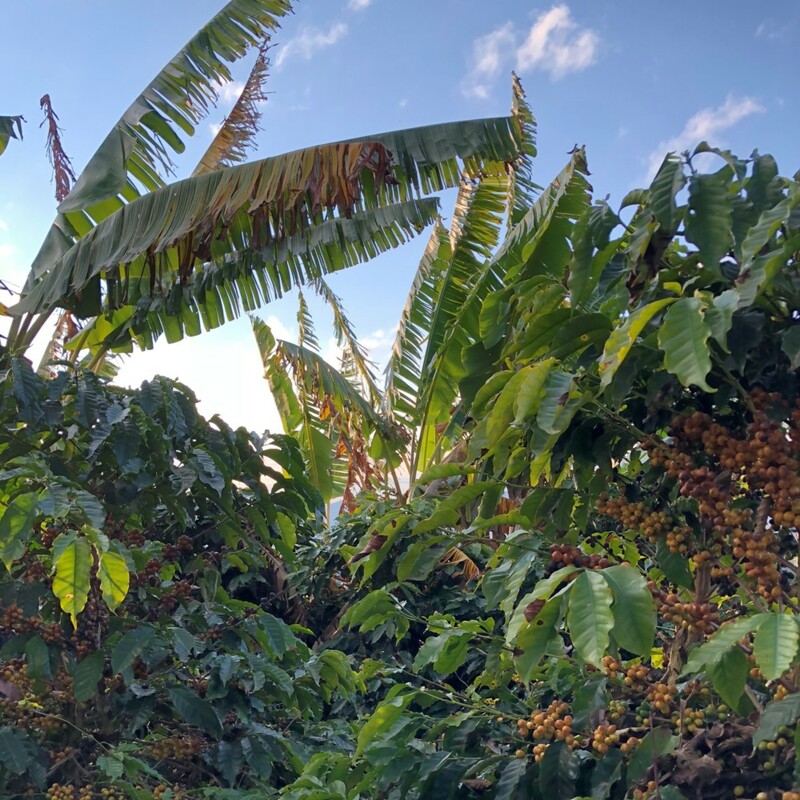 The farm is now one of three, and we saw a number of fields with new planting plans afoot in the case of land being purchased from neighbouring properties, or older Mundo Novo trees marked for removal to be replaced by Acaia, and red Catuai which Gustavo prefers. This year was a down year for the farm (farms often having a more plentiful ‘up’ year being counterbalanced by a lower yielding, following, ‘down’ year), and the trees needed a stumping at the very least. 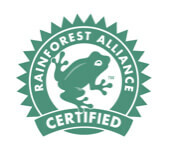 The dry mill has also been upgraded, and can now process 10,000 bags a year. This is way more than current needs as the farms produce 5,000 bags in total leaving another 5,000 bags as capacity to be sold to other farmers or gradually be used up as renovation and new planting comes to fruition on his acreage. (L) New planting in Boa Esperanca (R) Jabuticaba growing near to the mill. It grows from the trunk rather than the end of a branch and is delicious! 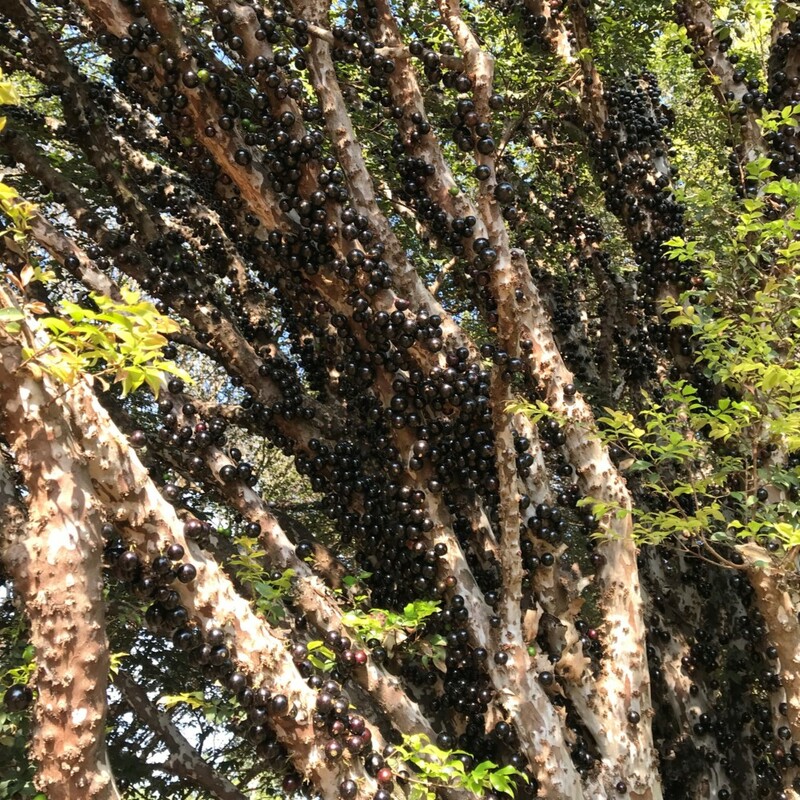 It was here that we also got to see and taste our first ever Jabuticaba. Also known as the Brazilian grape tree, it produces fruits on the trunk and branches in what looks most odd, but is delicious enough to prevent further wandering round a coffee farm while you taste and retaste the fruits. A trip to origin is always improved by new flavours and experiences, and whilst cupuacu, atemoya, jackfruit, cashew-fruit juice and even the miniature citrus flavoured bananas were delicious, this was a highlight for sure. The next day saw us venture out with Priscila from SMC to the warehouse operations. A facility that sits under the umbrella of Cooxupe, when it comes to the important part, there is a sharing of knowledge and understanding, and the separate facilities for the warehousing and reprocessing of the coffee they have was exemplary. Having roasted and worked in many a warehouse in my time, the working cleanliness and thought that had gone in to the operation was immediately evident. From electronically chipped bags that computer systems lock out to prevent any cross contamination or lot mix up, to the colour sorting, numerous cleaning and grading facilities, it was reassuring to see the dedication behind the logistics in delivering many specific lots and microlots. From there we visited the fabled Aracacu. A selection of amazing microlots with new varietals and processes including honey Catucai (a cross between Icatu and Catuai), natural Catigua (Yellow Catuai IAC 86 x Hibrido de Timor), and Rubi (Catuai x Mundo Novo), it’s great to taste the innovation and feel the passion on the farm. 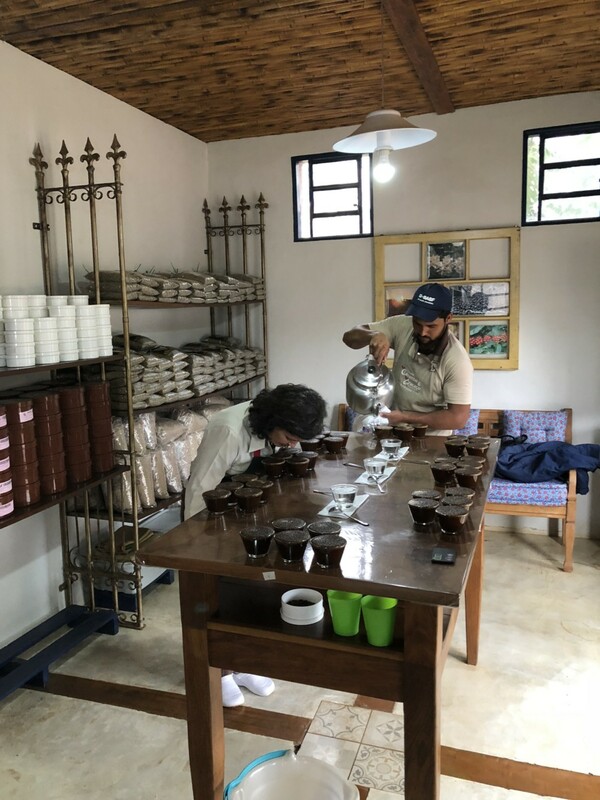 Carmen, the owner is a well known figure as well as being current head of the BSCA, and is working with professor Flávio Borém on these microlot experiments. The main crop does not get overlooked either, and is treated to an oft talked about sonic bath to destress once the processing is over. On this visit, it was a version of the theme from Titanic, soothing the picking and depulping pains away in an aural icebath. (L) the 1976 vintage Pinhalense still used in processing the coffee on Aracacu (R) Carmen, also known as Ucha, cupping microlots in the House of the Senses (or the cupping lab). Heading off into the unseasonal and problematic-if-you-are-trying-to-harvest-coffee thunderstorm, we did a quick switch of vehicles at the BSCA head offices in Varghina and under the cover of darkness headed off towards somewhere we weren’t exactly sure of. Small towns and the occasional hotel were sighted but we didn’t stop until we got to what appeared to be a way larger than it needed to be hotel and checked in. We were met shortly after by the always friendly Wellington form Cocarive and Ascarive for dinner. We arranged our morning meeting time and awoke to views of the Mantiqueira mountains and the hydrotherapy spa resort of São Lourenço, a popular destination for internal tourism. 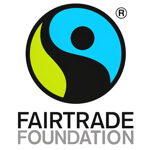 The cooperative had existed previously but struggled before being restarted and refocussed in 2010. They now have six agronomists they work with and send out to farmers in need of assistance, and do not sell coffees that are grown under 1000m and score less than 83 points. It is mountainous in its topography, so elevation is not hard to find, though this also results in 95% of their coffee being picked manually which can drive prices up. 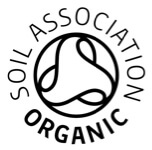 Comprising of three cooperatives working together, and 1034 members in total, they have closed applications to join so they can control the quality whilst growing. We headed off first to see the offices next to the old warehouse and cup some coffee after avoiding the cornucopia of cakes that Brazilians seem to have for breakfast alongside presweetened milky coffee. The offices were smart, with lots of samples being processed even though it was the weekend. 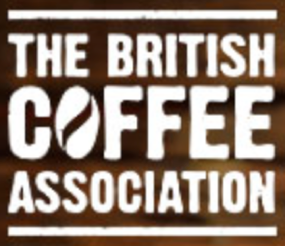 The geographical indicator award that they pioneered in Brazil is actually linked to the quality grade as well as geographical boundary, so focus is sharp and backed by Baba again entering the Brazilian Cup Tasters Championship. Quality really is a watch word here, and two of the highest ever scoring Cup of Excellence lots are from the farmers Cocarive work with. Equipment is kept current, and the increase in growth led to demand for a new grinder. Less common in Brazil due to the price, an EK43 was delivered while we were there to much excitement. Moving over the road to the purpose built warehouses it was good to see expansion and improvement in process. Currently where boxes are stored is a room destined to be the quality lab and cupping rooms, closer to the operations and bringing all the staff together. Again the Cocarive warehouse has a dehuller, colour sorter and cleaning/grading machinery for further processing of the coffees that come through, as well as similarly run supersacks for longer term storing of green coffee sold forward. There is a spring on site, and future plans involve not only extending the new warehouse on the abutting land they own, but utilising the water too. 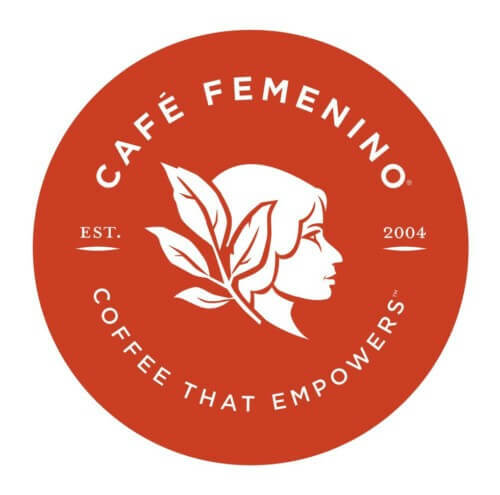 With all this in mind, you can’t help but feel that the community they are building in the area will go from strength to strength over future years, and it’s no surprise to see these coffees popping up in speciality shops all over the world. Following what was probably the best lunch of the already gastronomic hospitality Minas Gerais is famous for, we headed off to visit a nearby organic farm overlooking Tres Barras, owned by a former biographer of Pele and Rio marina owner , before switching sides of the valley to visit Sitio Da Torre. Being the weekend and a rainy one at that prevented harvesting and drying being done in any significant volume. Plenty of the farmers had taken the opportunity to grab a day or two of R&R. However, we were greeted by Alvaro, farm owner and also in charge of the Cocarive warehouse, and taken to the tower at the top to see the stunning views across the mountains and get a good understanding of where the farms lay. There used to be a look out here, but unfortunately drug users took to hanging out on it and burnt it to the ground. Sao Lourenco is the build up to the left, Tres Barras to the right of the picture. Shielded by bananas on one side and fragrant eucalyptus on the other to protect from the winds, we found some beautiful yellow Catucai before spotting Jacu’s destructively feasting on an experimental line of Catigua due for picking. The bird has some notoriety in Brazil as people are trying to sell it in the same way as Kopi Luwak, but not here. 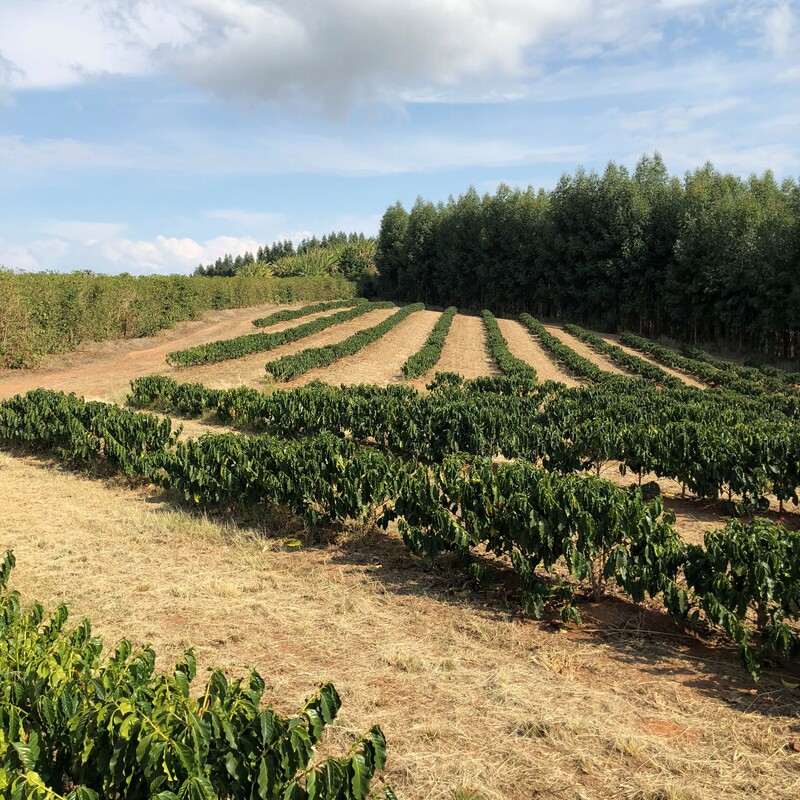 Another area on the farm had some more varietals being trialled for both cup profile and yield as again, continual improvements seem to be well understood and embraced in Brazil. As the sun edged lower we headed down to a small drying patio where one of the lots from the previous day had been rained on. Whilst we managed to avoid the selective showers it was clear to see where patio dried coffees would struggle over the week. Most of the regions’ harvest had been done, though some were still picking at higher elevations or doing one final sweep. Cherries that were tree dried were now at risk if the rains persisted, and the plants could easily be tricked into thinking the dry season was over and start the flowering needed for the next crop, only to abort the flowers if the dry weather returned. Microlots though were being well guarded and watched, and a large number of farms we saw had some on raised beds under tarpaulin covers. As the sun finally set, we climbed into the cars and headed back to Sao Laurenco for one last evening in the spa town before the long drive back to Sao Paulo, and the longer flight back home.